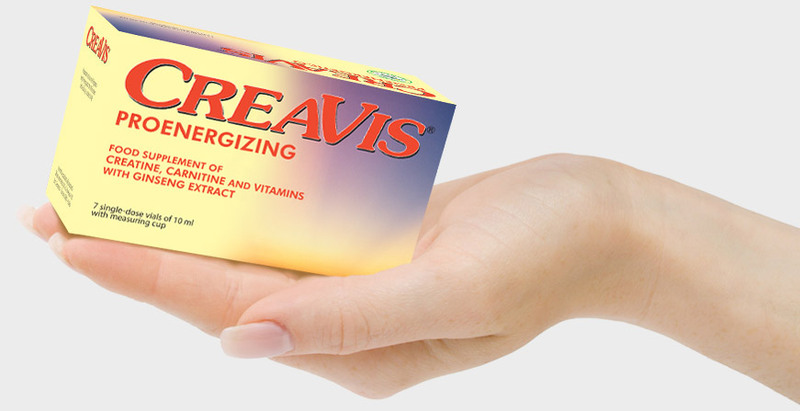 CREAVIS® is a multivitamin food supplement containing Ginseng, Carnitine and Royal jelly. Thanks to the tonic and adaptogen properties of Ginseng, it is useful against mental and physical fatigue. Blueberry favors a healthy eyesight. 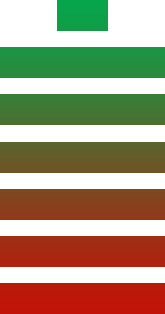 Vitamins B6, B12 and PP contribute to the normal energy metabolism, to normal psychological function and to the reduction of tiredness and fatigue. Take 1-2 vials a day. Being an energizing product, it is advisable not to take it before going to bed. For a proper use of this product, seek your doctor’s advice. Food supplements are not intended as a substitute for a varied, balanced diet and a healthy lifestyle. Due to the presence of creatine the product is intended for adults only. Do not use during pregnancy. Do not take in case of hypersensitivity to one or more components of the product. Keep in a cool and dry place. The expiry date refers to the unopened and properly stored product. Keep out of reach of children under three years. Creavis® is available in the distribution chain and is widespread on the territory. In case of difficulties during the purchase, show this code to your trusted pharmacist. Fatigue, or asthenia, is a sense of weakness and reduction of energy that leads to a decrease in physical and mental capacity, a reduction in resistance to stress and greater fatigue. Fatigue may manifest as a result of various physical or mental conditions of varying severity, such as food shortages, convalescence of different nature. However, even more frequently, there is a sense of tiredness even in physiological conditions due to certain moments in life (menopause, advanced age, growth phase) or the year (seasonal changes) or in cases of intense psycho-physical activity or insufficient rest. The most common remedies include adequate rest and a healthy lifestyle given by proper nutrition and frequent exercise. In some situations, however, it may be helpful to support our body with a food supplement aimed at regaining lost energy.